Do you like Storm Trial? Share it with your friends. 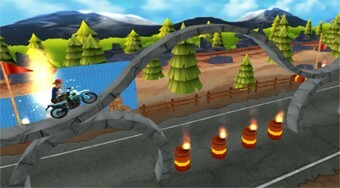 Storm Trial is a great racing game where a total of twenty different challenging levels are prepared for you. In each round, sit down on your bike, ride a racetrack, collect gold coins, overcome obstacles, pass checkpoints, collect coins, and move as fast as possible without falling to the finish.